-	When Should you Expand? To provide the best solution that will help our customer’s business grow, we have a list of things we evaluate when visiting a material handling project site in the initial stages. We make sure all topics are covered, all questions are answered, and all solutions are uncovered. Here's how we get started. When evaluating a customer's needs, we probe for an understanding of the operation in its entirety. Each aspect of the operation affects the others. Making a change in one area may have a profound impact on another area, and this may require material handling equipment solutions there as well. We walk through each receive, store, pick, pack and ship process that is occurring in the customer’s operation in order to understand their needs. We dig into any software or PLC program which may be controlling part of this operation. Collect accurate and complete load data and rate information. Spend time looking at the units to be handled on conveyor in a detailed manner. It is important to have a list of all of the units that will be handled on a conveyor. This will determine conveyor parameters. The physical characteristics of the load are vital to the success of the proposed system. If the customer is using boxes, we pay attention to the center of gravity in the box and what the bottom of the box looks like. Is the bottom of the box fan folded or taped? Does the bottom of the box bulge? All of these things could cause the box to act erratically on roller conveyors. Knowing them in advance helps us better determine your solution. Rate information should be defined in units per minute. It is important that you define any surges in the desired rate. If the customer does a large portion of their picking in a short time frame, your system needs to be capable of handling these surges, or the customer’s processes need to be reworked to eliminate the large surges. If the system is large or complex, you need to gather rate information for each area of the system so you can determine the necessary rate at any common merge or transfer points. Evaluating a customer's likelihood of purchasing material handling equipment solutions is more of an art form than a science. There are signs to look for when evaluating if they are in need of a solution that will reduce their overhead and/or operating expenses. We call these signs “Low-Hanging Fruit.” If the customer has an excessive number of people performing non-value added tasks, chances are that they could save money and time by automating. Other signs to look for are a large number of carts in their facility, people manually moving products from one area to another, operators doing manual sortation of packages, and manual or paper picking processes. Many customers have a pre-conceived notion of how their problem should be solved. It is important that the customer shares this so we can evaluate and integrate it into the final solution, if called for. Even if they don’t have a concept of the solution, they typically will have a clear understanding of which part of the process is causing them pain. 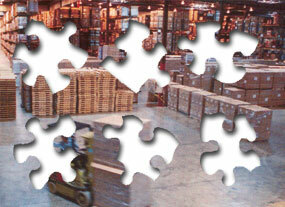 Clients have constraints on the purchase of material handling equipment. Capital purchases are usually driven by a return on investment and that return must be realized within a predetermined period of time. What is the ROI timeframe? is there a budget for this project? What is the timeframe for purchase in implementation? Our team approach helps customers grow their business. The reward for this strategy is a satisfied customer with a more efficient system driving better ROI.